Vivid Colors, Large Canopies and Brilliant Impressions make these custom full color umbrellas stand out in the crowd. As a small business owner, you may ache to make bigger impressions on your customer. 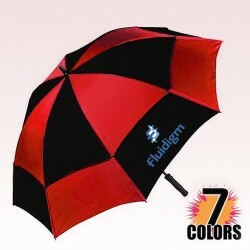 The best way to impress your customers is to offer them a custom full color umbrella as a giveaway product. We offer a great line up of customized full color custom umbrellas for you to choose from and we have managed to keep the price down on both unit price and set up cost! 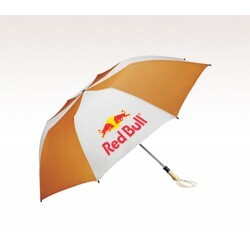 Wondering how we can do such a great deal on these inexpensive custom printed umbrellas. We have wondered the same thing! The success of this section is one thing that encourages us to offer brilliant pieces at cost effective prices. 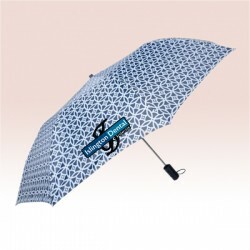 Imprinted umbrellas make an indulging choice for a business gift because marketers know these are going to serve them beyond their expectation. If you own a business and are looking out for a typical promotional product then custom full color umbrellas are the right choice. 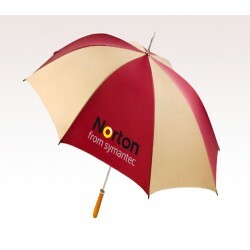 These umbrellas can carry your business message or logo with ease. 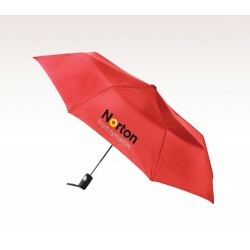 These umbrellas can add soul to any dull campaign and would offer great exposure to your company for a long time. People have penchant for colorful umbrellas, which means they are going to carry these or store them for countering bad weather. This means your logo is going to be seen on any weather condition. These full color umbrellas make an indulging promotional gift for anyone and they can be handed out on different occasions to grab attention of your guests, viewers, or customers. At US Umbrellas, we are passionate about offering the best quality custom full color umbrellas and we have succeeded in achieving our potential. We love to help our customers to woo their customers. Whether you prefer to choose the one on your own or need some help, our brand consultants would be happy to be at your service. Just call us at 888-254-5290 or email us at info@usumbrellas.com. Once you give away these colorful umbrellas to your targeted customers or loved ones, you will understand why others prefer to buy it from US Umbrellas!